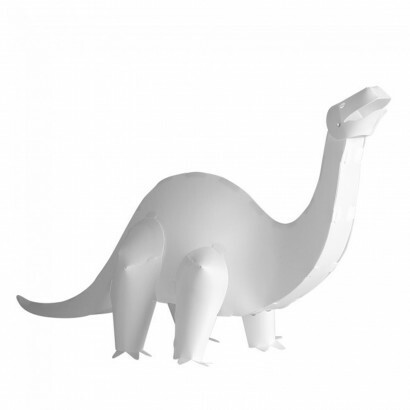 Imagine a time when dinosaurs walked the earth and bring it to your child's room with this charming Brachiosaurus Dinosaur Lamp. A fun and creative way to finish your child's room, kids will love this white plastic dino lamp that's full of character and shines with a warm white glow. A touch of the prehistoric, this lamp casts enough light to be used as a night light and battery operated, he can be taken anywhere giving your child comfort wherever their adventures take them.